Mike Rueter is a project manager on the firm's 24 Hour Fitness corporate account. He assists with all stages of club development, from due diligence and site selection to design development and documentation through bidding, permitting, and construction. Prior to his work at Mackenzie, he was with an architecture firm in Minnesota and the US Army Reserves. He is on the architecture department's “lunch and learn” planning committee. 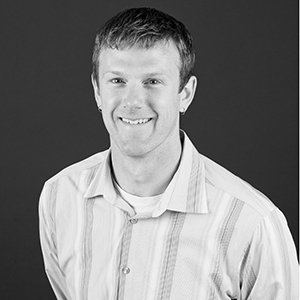 An accomplished cyclist and triathlete, Mike brings his fitness interests into the office as the unofficial alternative transportation coordinator, Fitness Friday member and planner, and unofficial Pole Pedal Paddle coordinator. "There is always an aspect of every project I work on I'm proud of. I can't pick a favorite. Once I have a perfect project I will list that one, then quickly retire! " an athletic trainer or coach, maybe a divemaster.